How did you get into magazine publishing and when you reflect back on your career what have been some of the highlights? I’ve been working in publishing since my early twenties. I got a job as an assistant in a literary agency in London after I completed an MLitt. From there I went to Oxford University Press, and then Saqi, where I commissioned international fiction for their Telegram list. Saqi is a small family-run publishing house in London, and it was there that I really learned every aspect of publishing. I had a brief stint in publicity and marketing, and then I was designing covers and laying out books, as well as commissioning them and editing them, so it gave me a proper grounding in the process. When my husband and I decided to move to Ireland in 2008, we had no concrete plans, other than to try to write and paint while I did some freelance editing. It was the height of the recession in Ireland. It was rough. Two years in, we decided to publish an art & literature magazine. Not an obvious way to make a living, but we got some support from the government in the first few years, and then it just took off. Highlights include publishing interviews by some of my favourite writers, launching, The Caterpillar magazine, The Moth Poetry Prize (annual prize of €10,000 for a single poem), being the first publication for some outstanding new writers, coming across some extraordinary artwork, meeting wonderful writers and artists and recently setting up The Moth Retreat here in rural Ireland, next to our home and office. 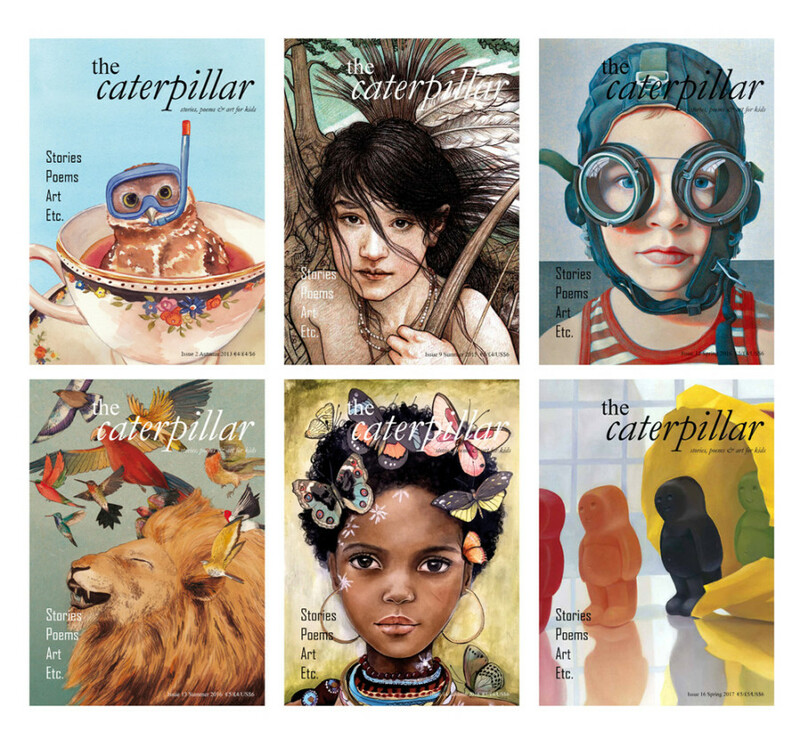 Launched in 2013, The Caterpillar is a beautifully produced, high quality quarterly children’s magazine of fiction, poetry and artwork for children. Can you explain the origin of the idea behind the magazine? From early on, I wanted to publish a junior version of The Moth – mostly because I thought the title The Caterpillar was so good! Well, that and the fact I thought there was a huge gap in the market. We produced the first issue in the summer of 2013. I follow the same principles as The Moth when putting it together – bringing together the best poetry, short stories and art that I can find to give our readers the most joyful experience. It’s as simple as that. We don’t care about names, we don’t care about celebrity, and nor do children generally. They just want to be entertained. The Caterpillar features a gorgeous array of illustrations in each issue, can you tell us about the kind of artwork you are interested in commissioning? I’m always on the lookout for work that is witty, whimsical, has heart, and has obviously been beautifully composed. I’m looking for contemporary work that has a timeless quality, that isn’t just responding to trends or fads. The artist has to have a real vision of what it is they’re trying to achieve, a real voice or whatever the visual equivalent of that is – integrity. What have been some of your favourite covers? Do you have a theme for each issue? No theme, I just follow my nose, starting with the poems generally, then the stories. Then the search for the artwork begins. Authors such as Michael Morpurgo, John Hegley and Ian Whybrow have all contributed work to The Caterpillar. Can you share some of the magazine's most memorable collaborations with our audience? Undoubtedly a highlight was visiting J. P. Donleavy, author of The Ginger Man, at his sprawling mansion in rural Ireland. He took us from room to room, showing us his wonderfully whimsical paintings and illustrations (some of which we published in The Caterpillar), told extraordinary anecdotes from his life and serenaded us on the piano! It’s always lovely to have the endorsement of well known writers. Michael Morpurgo very kindly gave us a story for the very first issue. And very early on, John Hegley featured us on a list in The Guardian of the ‘Top 10 Children’s Poetry Books’, even though we’re not a book, and we don’t just publish poetry, but hey ho! But it’s publishing new and up-and-coming writers and artists that still gives me the biggest thrill. 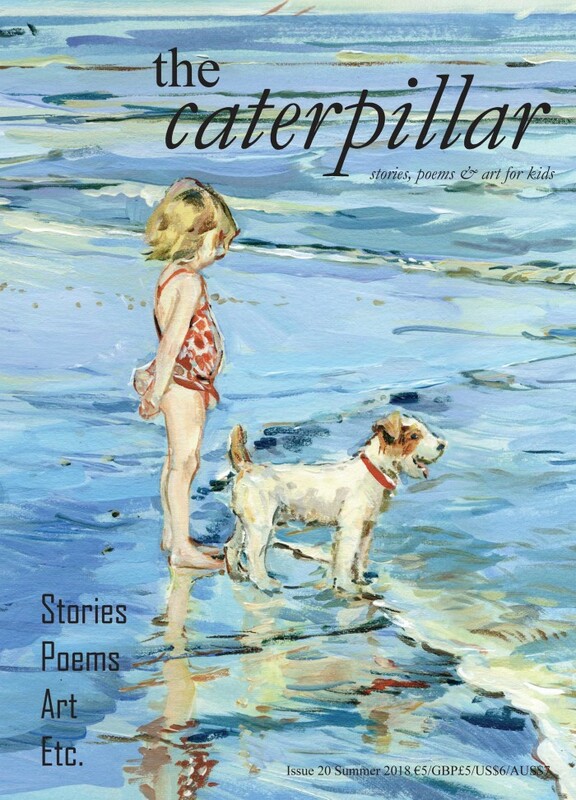 Tell us about the prestigious Caterpillar Poetry Prize & Short Story Prize. These prizes are run annually for a single unpublished poem and short story, and are our way of highlighting some of the best poetry and fiction that is being written for children. Anyone over 16 can enter our prizes, and the winner of each is awarded €1,000 and their work is published in The Caterpillar. There aren’t many outlets for publishing children’s fiction and poetry, so the prizes are a very useful way of writers getting the recognition they deserve. 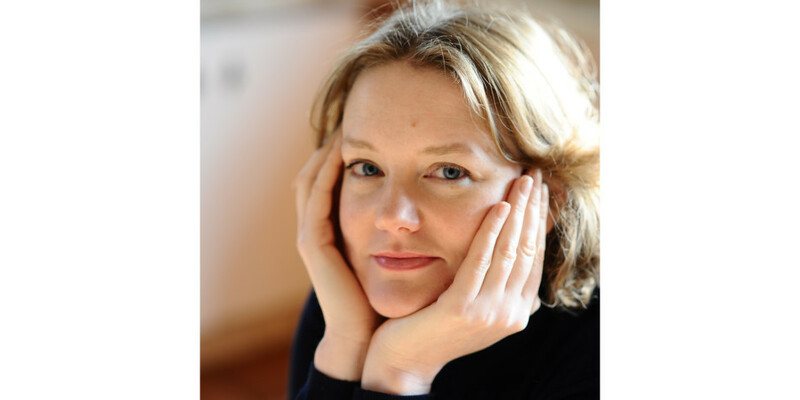 The inaugural winner of The Caterpillar Poetry Prize went on to secure a publishing deal as a direct result of winning, which was incredibly gratifying. Describe how you work with illustrators. We don’t brief artists or illustrators, and I don’t even like to think of the work being there to illustrate the poetry or fiction. It’s place in the magazine is as prominent and as vital as that of the writing. I tend to approach artists directly to ask permission to reproduce some of their work. I will try to showcase 2–3 artists in each issue. Tell us about the most a) exciting and b) daunting experience you've had as Editor. The most exciting and daunting experience was launching the first issue! I had no experience in the world of children’s publishing so I had to brush up quickly, and call on anyone I could think of who might be able to send us work. It took a little time before I could rely solely on unsolicited material, which is what I prefer to do. When visiting schools to read from The Caterpillar, what reaction do you get from the children? Co-director (and husband) Will Govan visits schools to read from The Caterpillar. He says the wonderful thing about kids is they only react when they think the poem or story is really good or really funny or rude. And they don’t care about whose written it.